Staff Nurse Free Recruitment to London North West Hospital - NHS Trust In UK - Skype Interview on every Month. Interested and eligible candidates can apply. Skype interviews on every month. In IELTS Writing 6.5 and other modules 7 or above and OET B or above in all modules . 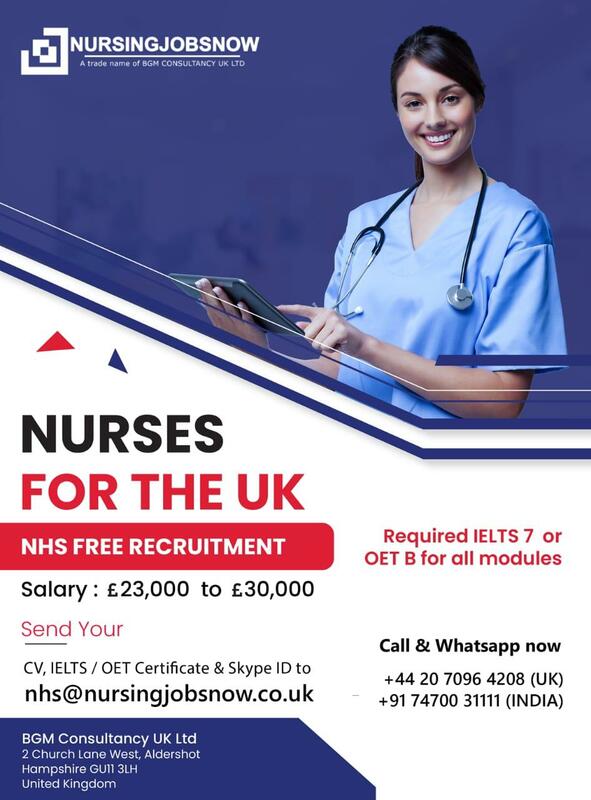 See the below details and send your CV and IELTS or OET certificate to [email protected] .